Every year we see a variety of different trends appear, passed down from the world of social media that we simply must get on board with – from the clothes we wear to the colour of the wall we paint our bedrooms, anything for the gram hey! And Christmas time is no different, we’re bombarded with images being snapped outside Annabel’s, Peggy Porschen’s and Cartier, searching high and low for the next festive hotspot. But there was one trend this year that has really taken off, so much so that most places in the capital had sold out, and that is of course was wreath making! 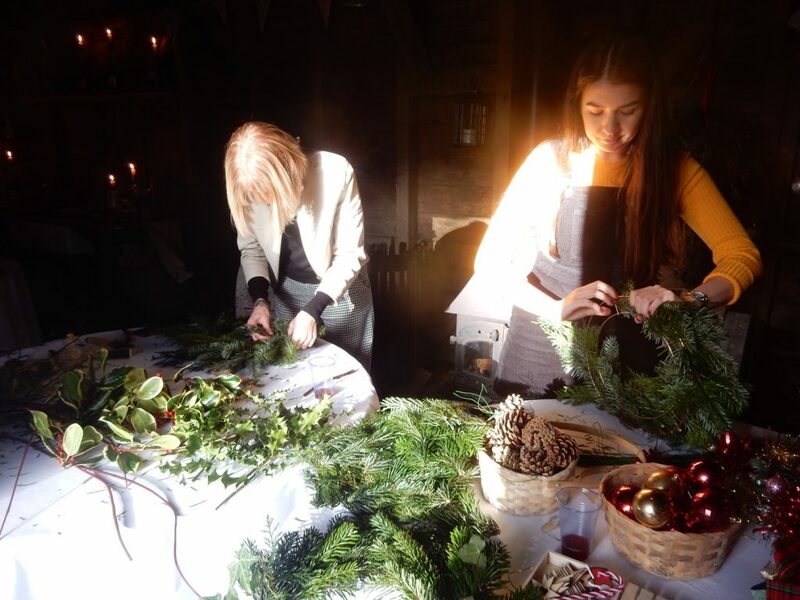 After finding that literally everywhere was booked or had already held their wreath making classes (including Petersham Nurseries in both Covent Garden and Richmond, Columbia Creative, Fortnum and Mason (which was in November!) I decided to search for one back home in Devon. Again, no such luck, most places either weren’t offering this festive activity or were fully booked! Then it struck me, where’s the most festive place in Devon? Who has the most wonderfully decked out interior complete with 25 1/2 ft Christmas tree? Where is my favourite place on earth? Bovey Castle!!! 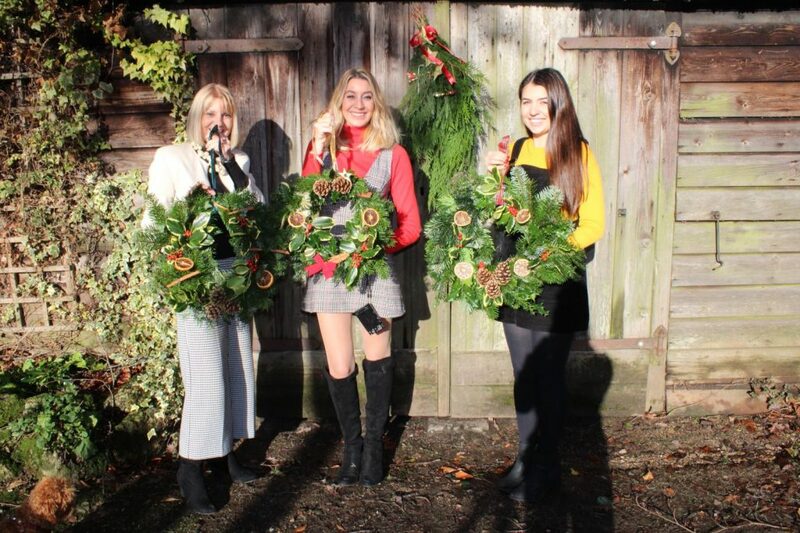 Within minutes of searching their website I’d found a wreath making class on Friday 21st December and had booked for the 3 of us, myself, Mum and Katie to attend. 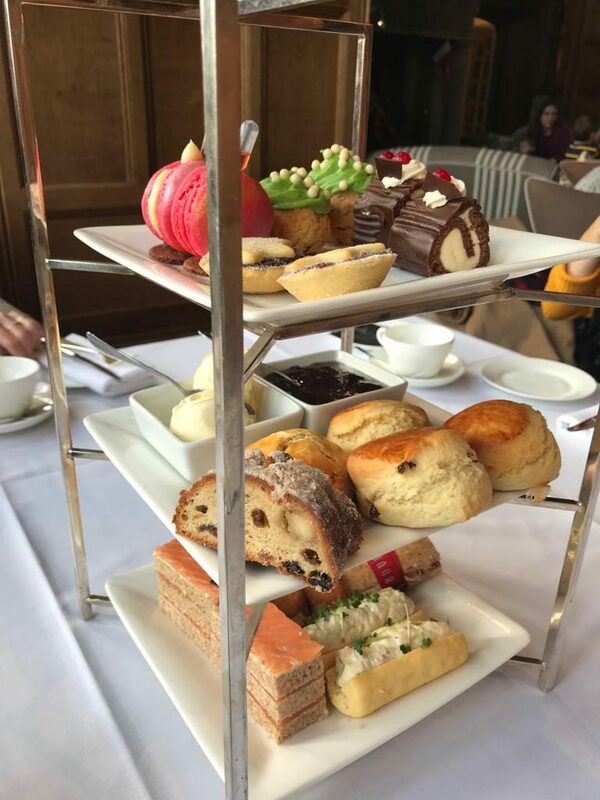 For those of you who haven’t heard of Bovey Castle, it is the most beautiful, grand hotel / manor house in the middle of Dartmoor National Park, complete with spa, swimming pool, restaurant and golf course set in the middle of nowhere! The best place for a weekend away in the main building itself or one of the guest lodges. The Christmas tree at Bovey is 25 1/2 feet tall this year! 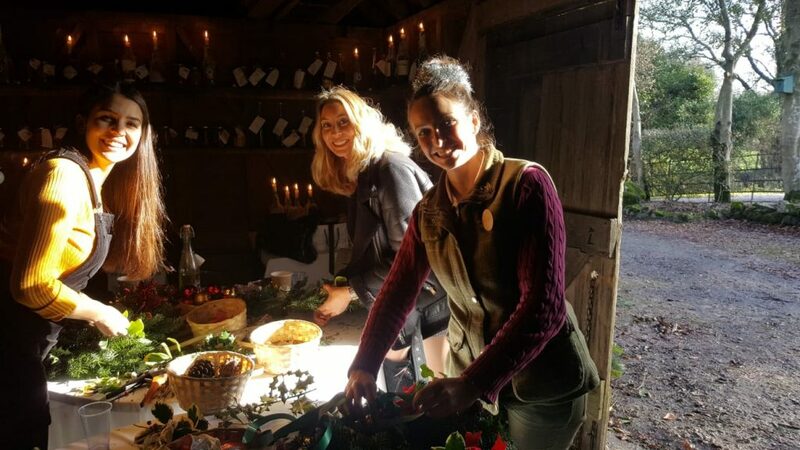 Wreath making at Bovey was everything I could have possibly imagined wreath making to be, it was absolute perfection, thanks to Hannah who looked after us. We were transported from reception via golf buggy down to the Long Barn which was lit by candlelight, a log fire and the winter sun which streamed through the barn doors. Hannah had already collected all of the foliage including bits of Christmas tree leftovers, evergreen, holly, berries, pine cones, dried fruit and ivy which was mostly sourced from the grounds of the estate. Hannah showing us how it’s done! We began with a single metal ring which we then attached bunched up bits of greenery to with metal wire to stay in place. We worked our way around the ring so that it was completely covered. We then added all of the decorative parts to make it extra festive including dried oranges, cinnamon sticks and even baubles and colourful ribbon. During the wreath making we were given hot chocolate by Hannah, complete with marshmellows! 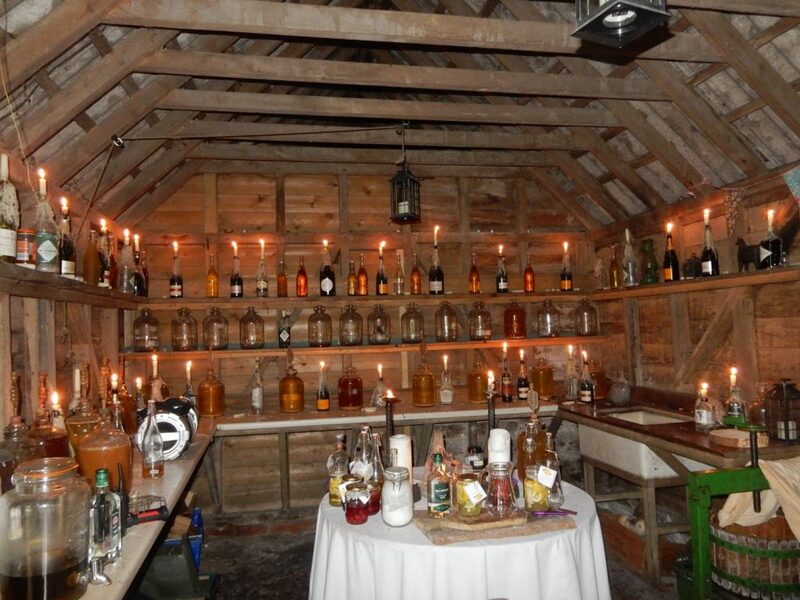 And as the barn is also used for the gin making classes we had a sneaky taste of the produce! 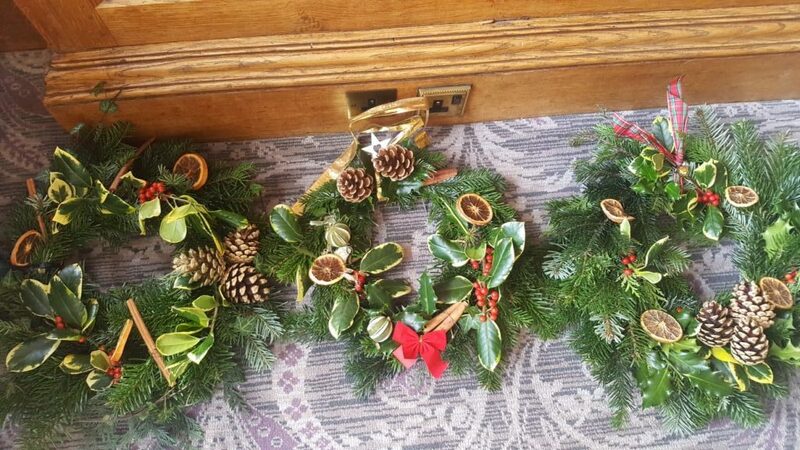 Hannah had been busy with the wreath making workshops with hotel guests and members of the public alike and had made so many wreaths as part of a demonstration she had started putting them up around the castle, she gave one to the chickens, the fawns and even the ferrets got one! 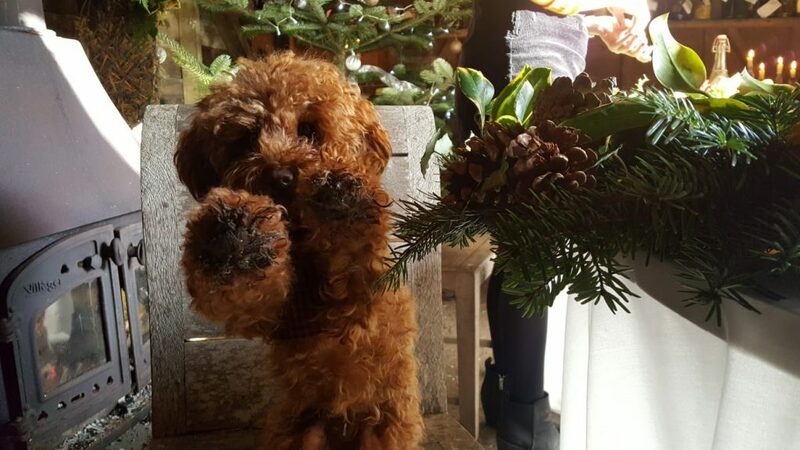 Bovey Castle is certainly an animal loving place, it’s dog friendly and Bali even got to come with us to lend a paw to the wreath making! I told you they have the most wonderful decorations!